Is the Millennium Falcon the top transportation toy? Have we had good Masters of the Universe, He-Man, and G.I. Joe films? Not all friends can go toe-to-toe on these topics. Enter Taylor and Jeff. 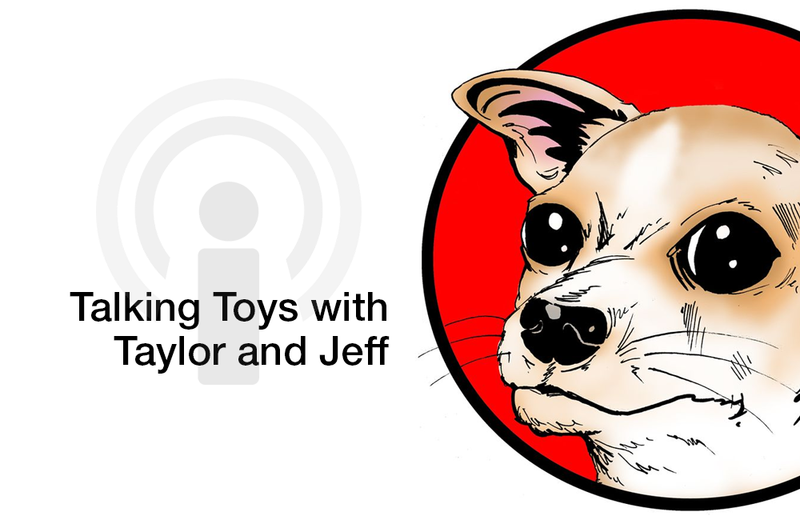 Taylor and Jeff have the kind of witty banter that is perfect for a podcast; they respect each other’s knowledge but aren’t afraid to disagree and delve into a debate. Most episodes are an easy-to-digest 30 minutes. The conversations flow easily from vintage to contemporary toys and episode-by-episode we get to know these two toy collectors and their supporting cast of family and friends (character development in a podcast shouldn’t be underestimated). This isn’t an overly serious podcast, making it easily accessible to a wider audience. Gateway episodes include Christmas Mornings with Santa (episdoe 33) Top Five Toy Lines That Need Movies (episode 35) Top Five Toys from Movies (episode 37), and The Karate Kid (episode 57).